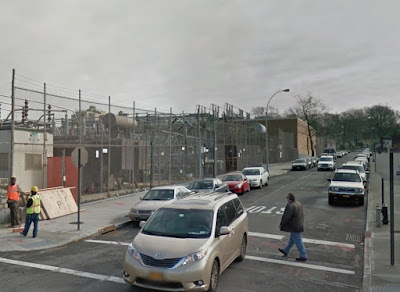 Yesterday South Slope News broke the rather exciting news of CB7's approval of a potential medical marijuana dispensary at 800 Third Avenue (28th Street), formerly home to batting cages. Mindful Medical, a Colorado-based company, is planning to turn 800 3rd Avenue into one of their four allotted dispensaries if their license is approved by the State of New York. Their other planned locations are in Binghamton, Buffalo, and Yonkers, with a growing facility in Georgetown, NY. Signs are now up at 700A Fifth, where interior work has been going on for several months. Back in May I was told that the food would be Jamaican/American, and yes, there will be more Caribbean food on Fifth. The more West Indian food the better in my book, but I hope that the prices are reasonable, and that there's room for Marleey's and Roosters to co-exist happily within a couple of blocks from each other. Price, good heart, and respect for what's already here are important. The last thing our part of Fifth needs is a plethora of high-priced, overrated restaurants, the kind the realtors love to name-drop in their listings. The kind you'll find to the north or east. The "date-night" restaurants. We're lucky to have avoided that fate thus far. We're incredibly lucky to still have long-standing, budget-friendly places to eat around here - the places the realtors never care to mention - that offer good food at a fraction the price of an overrated & Sons Italian or a tired oyster emporium. We can't deny change, but we can use our dollars the right way. Support the older businesses as staples, but welcome the newer ones that do things right. Developers are switching projects from rental to condos to meet the insatiable demand for premium condominiums. ...With a new generation of buyers hungry to move to (and buy in) Brooklyn, there is simply not enough supply to meet the demand. And while some of these new Brooklynites were renting at first, they are getting older and starting to look for premium for-sale product. 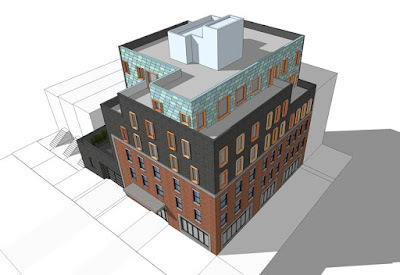 NY YIMBY reveals more details of the Eagle Provisions redevelopment, including renderings of the Tom Winters design for the mixed-use, 28 apartment/3 retail-space buildings. The store space at 673 Fifth has been empty for a good while now. The last business at this address was Sabor A Mexico. The place is still being listed for rent by CPEX at $6,000 per month. The building itself was sold at the end of last year, and plans have been approved for a horizontal expansion of the second and third floors. 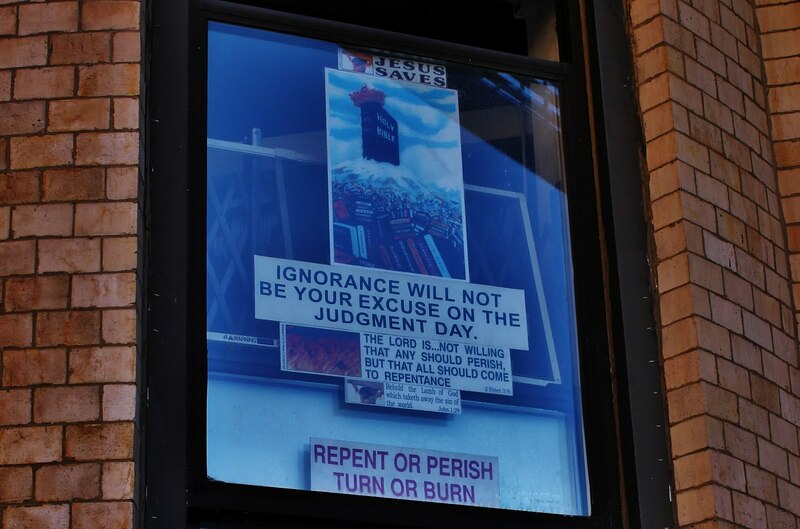 Sharp-eyed reader Scott Steinhardt alerted me to the fact that work at the building had revealed an older sign, and sent in a couple of pics. Here's one of them. LIQUORS revealed. The LIQUORS part is easy enough to make out, but the word on the left is harder to read. I went over there myself to take a look, but couldn't make it out. I'll check back to try again. Even though I've lived around here a while, I can't remember the sequence of businesses that have occupied this address in recent decades. I know there was a liquor store at the corner for a long time, but can't find a reference to it online after the 30s. 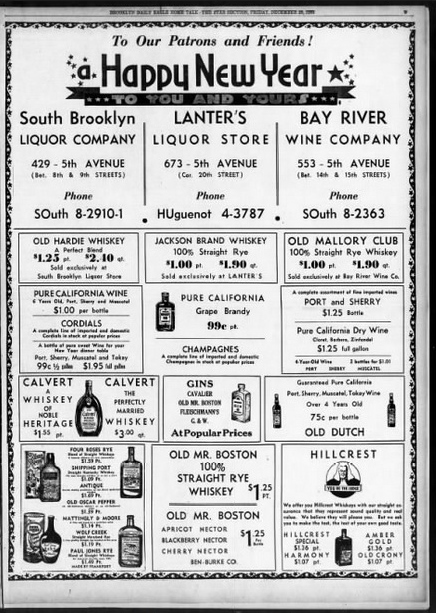 Here's a '34 New Year's ad from the Brooklyn Eagle, with Lanter's at 673. There are some fine brand names featured in the ad, including a crowd of wheezing, ruddy-faced Olds: Old Hardie, Old Mallory, Old Oscar Pepper, Old Crony, Old Dutch & Old Mr Boston. 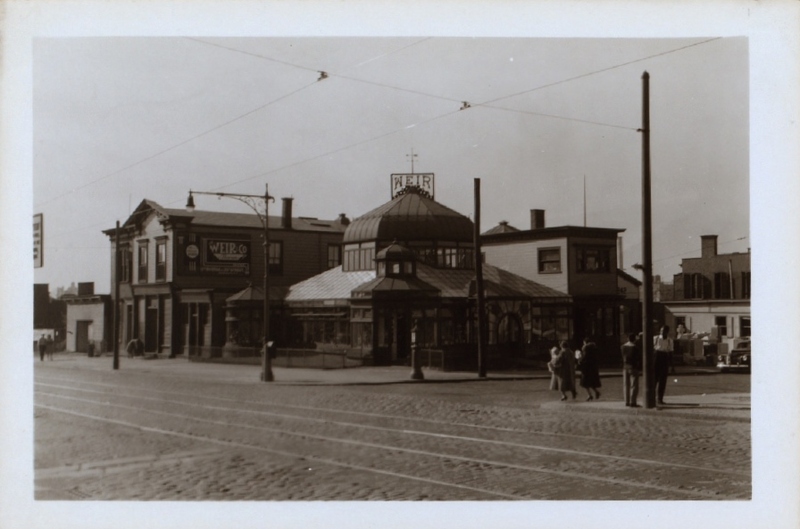 What became of the three liquor stores featured in the ad? 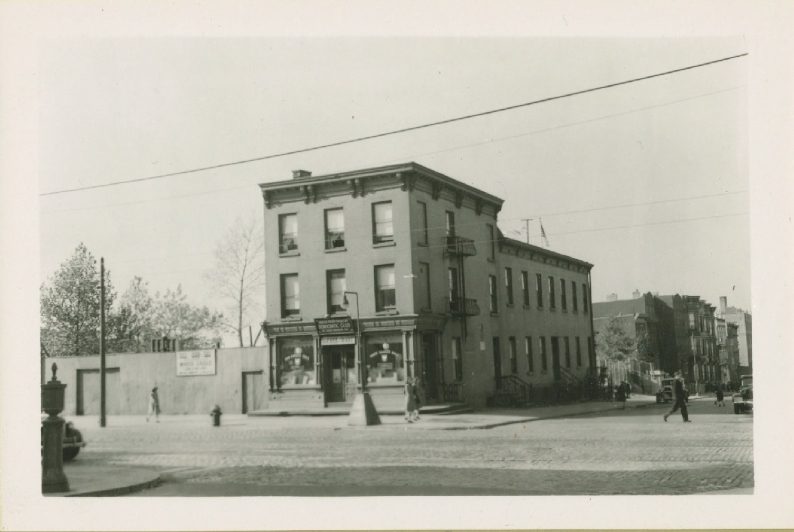 Bay River is still around, one block south from its earlier address, with its name just about intact, and plans to turn it into Park Slope Wines & Liquors have been seemingly jettisoned. Prime Time Liquors operates in place of (De Silva) South Brooklyn Liquor Company, which at some point in time hopped one store over to 427. Lanter's, and any successors, disappeared completely. I wonder what's coming in at 673 next. Fourth at 11th Getting the Finger? 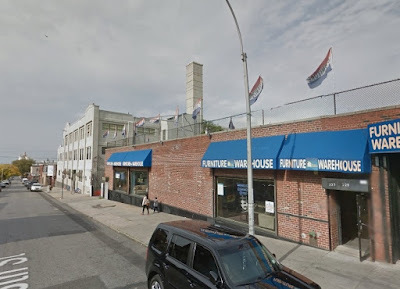 DNAinfo reports that plans have been filed for a ten-storey building at 488 Fourth Avenue, between 11th & 12th Streets, two doors down from Danny's Rim & Tires. This would replace a three-storey walk-up. 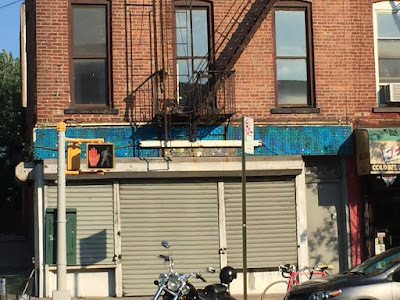 The building was last sold in 2007 to Righteous of Park Slope LLC for $2,400,000. Not righteous enough, apparently, to avoid an open partial vacate order on the property, the result of creating an illegal occupancy space in the basement. If the filed plans are approved, this would mean one of those charming finger buildings breaking up an otherwise (for now) unchanged block. Note: The photograph above is clearly rather dated (early '13), and will be updated shortly. Since it was taken, Lucky 7 Deli appeared at the corner of 11th, and 500 Fourth found itself with a heap of structurally unsafe balconies. Two years after 500's problems were first reported, repairs are still ongoing, but the balconies, all removed, are starting to make a comeback. Here's a updated pic. 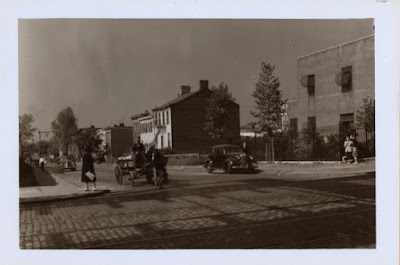 488 is the middle brick apartment house. The plans are finally revealed. The Eagle Provisions buildings are set to become a 28-unit residential building (The Real Deal). Brooklyn developers George Malafis and Ioannis Glyptis are converting the former home of popular Polish market Eagle Provisions into apartments, according to a permit application filed Friday with the city’s Department of Buildings. 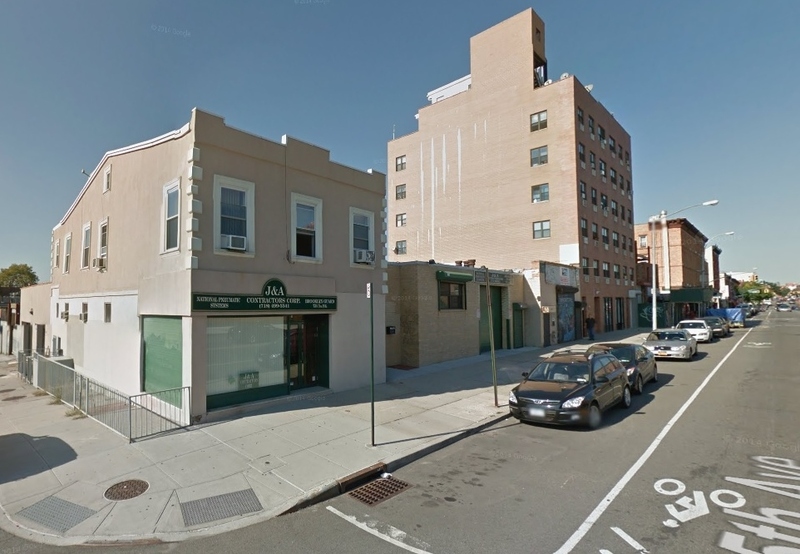 The plans call for 28 units across 20,300 feet of residential space at 626-630 Fifth Avenue, on the corner of 18th Street. 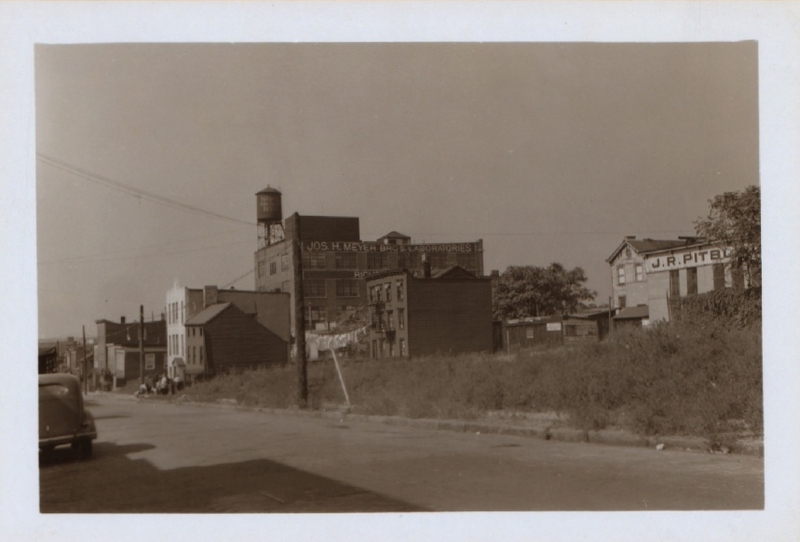 The site includes three contiguous buildings, one of which housed Eagle Provisions from 1939 until it closed earlier this year. The developers want to merge the buildings and vertically enlarge them to six stories from the existing three, according to the filing. The project will also feature almost 2,100 square feet of commercial space, including ground-floor retail, and a 14-car garage. The second and third floors would hold seven apartments each, with six units on the fourth floor, five units on the fifth floor and three apartments on the sixth floor. The residential building would also house a common roof deck area. Back in November last year, 213 and 215 20th Street were listed as a package development site by Cushman & Wakefield. Price: $3,200,000. According to their website, the properties are in contract. There are no recent records of sales for either property, but they're already set for demolition. 213 has a secondary building that's also disappearing. These are across the street from the poultry market, the best decorated live market I've ever come across, though hardly a draw, perhaps, for upscale apartment dwellers. They're also close to the big development site on 19th. From the lexicon of realtor-speak, we live in "burgeoning" times. Yesterday's Summer Stroll on Fifth from 12th to 18th. Early evening. 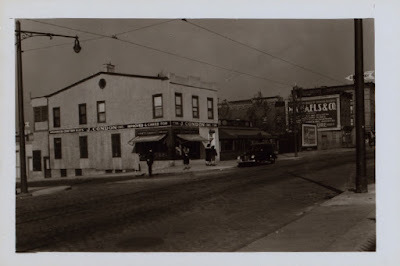 Messina in the shadow of the closed Eagle Provisions. South Brooklyn Shakespeare presents Much Ado about Nothing. Gowanus' Third continues to go ever more boutique. Right next door to 512, the old Pascone barber shop featured in the 70s documentary, Third Avenue: Only the Strong Survive, a new store is set to open. Hazel Village, at 510, will be selling stuffed, heirloom-quality woodland friends (the toys, not the neighbor, Morbid Anatomy kind). The business has been around for four years, supplying to individual customers, & nationwide & international retailers including the likes of Barney's, J.Crew and ABC Home. Its product line is endorsed by Martha Stewart. The store-opening is set for July 31st. 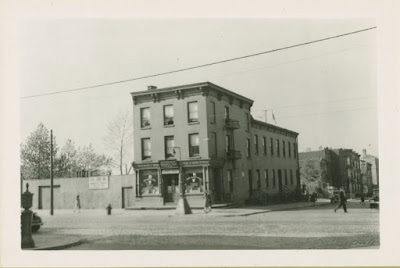 While I was looking for florists and monument works the other day, I came across a picture of the White Eagle Tavern that I hadn't seen before. It's another P.L. 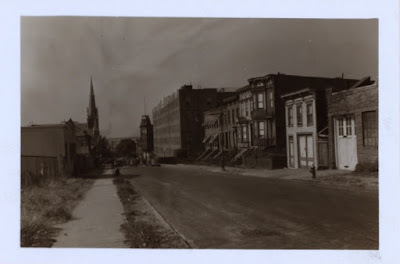 Sperr from 1941 (NYPL), taken at a time when the building was known as the White Eagle Hall and served as the Polish Democratic Club headquarters. Condon's Florists (greenhouse intact) was right next door. Here's the same scene in 2011.
and in May of this year. As I've mentioned before, a White Eagle Tavern sign remained on the building for years, even as the slow and tortured construction work there stopped and started, stopped and started. Last week though, I saw that it had gone, and where it once hung there was a slab of fresh cinderblock. 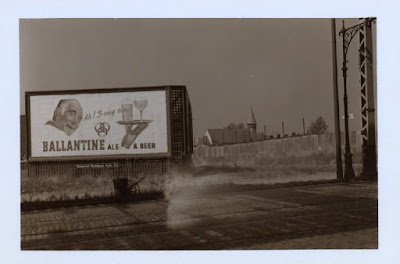 I looked in the nearby dumpster several times that week, and asked a couple of guys at the site if it was still around, but it was too late. Marie Grasso may be the city's ultimate home-wrecker. The Staten Island demolition company owner is No. 1 on the list of building code scofflaws. Grasso has run up more than $1 million in fines by routinely violating building code safety rules, permitting conditions that injured workers and undermined the stability of adjacent properties. Yet the city continues to award her permits to knock down more buildings. 205, close by the path of the old Gowanus Road, dates dated back at least to the 1870s, and there's a good chance it's it was older than that. 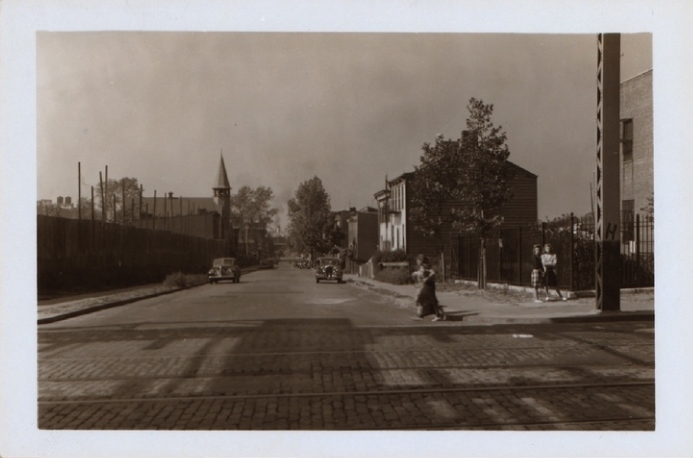 I only discovered today that it was listed as historically significant in the report submitted for designation of a Gowanus historic district. Sadly, the New York State Preservation Office shelved the designation last year, after community residents voiced their objections, apparently misled by an anti-designation group into thinking that historic status was similar to landmarking. In fact, historic designation does not affect homeowners' property rights in any way, and actually offers significant tax credits for property restoration. Could 205 have been saved if it had been placed on the State and National Register of Historic Places? Perhaps not, but it might have persuaded the owner to think twice about tearing it down, or helped it find a buyer keen to preserve a piece of history. Instead it vanishes, with nary a voice of protest, just like so many other of the old wooden vernacular buildings in the borough. In its place, more condos. I tried to do a little amateurish digging around online to find out more about the house, and came across a single, quiet line, buried in records from a century back, apparently recording the approval of a permit. An epitaph, of sorts. Declining Price in the Brooklyn Boom? The McGovern -Weir florist, whose greenhouse is now owned by Green-Wood Cemetery & in the process of renovation, was once just one of many cemetery-related businesses at Green-Wood's north-west corner. 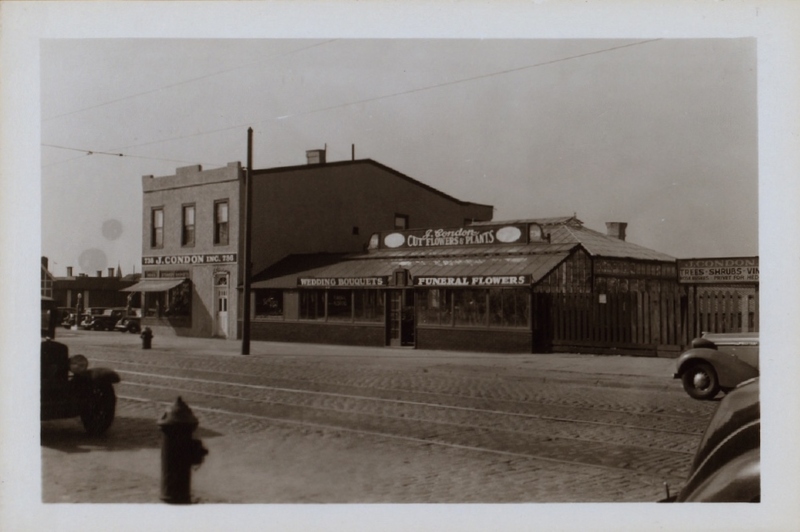 Nineteenth and early-twentieth century Brooklyn maps reveal a whole host of florists (complete with greenhouses) & stonemasons, clustered between 24th and 26th. 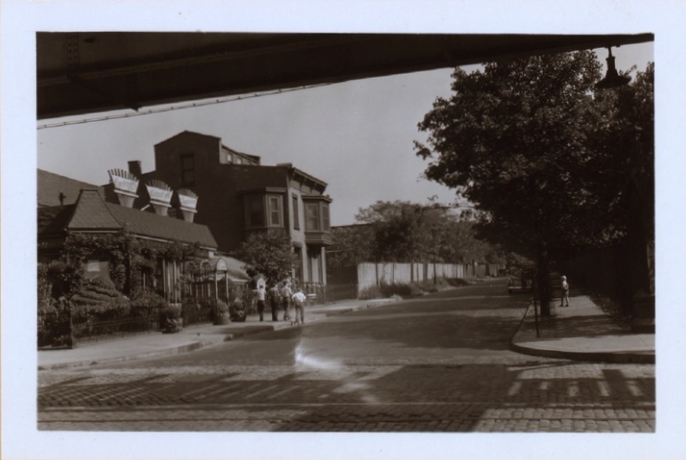 In 1903, florists close to Weir's included J. Condon's, A. Woollmer, H. Weber, & Peterson's, along with several greenhouses unidentified by business names. A regular bevy of Monumental Works included J.R. Pitbladdo, T. Pitbladdo, C. Tandy, J. Feitner, J. Greens & Sons, R.F. McKeller, Stevens and Barnutts, J. Young, M.C. Peterson, and J.Stillgar. Brooklyn artisans worked here. Today there are no florists in this stretch, the nearest to the cemetery being Shannon's (right by Greenwood on Fort Hamilton Parkway), Jasmine's, at Fifth & 15th, and Palacio's, at Fifth & 39th. The only surviving monument works is at 242 25th, right down from McGovern Weir. This was J.R. Pitbladdo's, founded in 1854, at the same time as brother Thomas Pitbladdo's competing business nearby. Eventually the Scottish brothers went into partnership, and by the 50's Finnish stonecutter John Hakula, who founded Brooklyn Monuments in 1929, bought out the Pitbladdo assets. Today the holdings are consolidated as Century Memorials. 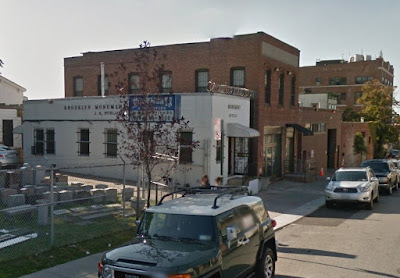 The only other monument company close to Green-Wood is Supreme Memorials, at Fourth and 17th. 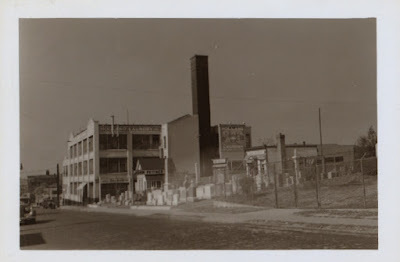 In 1941 photographer Percy Loomis Sperr took a series of photographs around Fifth, right around the time that the Fifth Avenue El was being dismantled, and they show us some of the old, cemetery-related companies. What a different avenue we see, seventy years or so back. It looks almost like something from the 1800's, though the cars & the commercial ads, and maybe those 1940's teenage girls, lounging at a corner, give things away. How sparsely those cars dot the landscape, and how quiet and almost ghostly the avenue appears. The side streets, an irregular array of brick and frame, interspersed with bigger, commercial structures, are, quite simply, beautiful. Whitman hovers here, a tender presence. 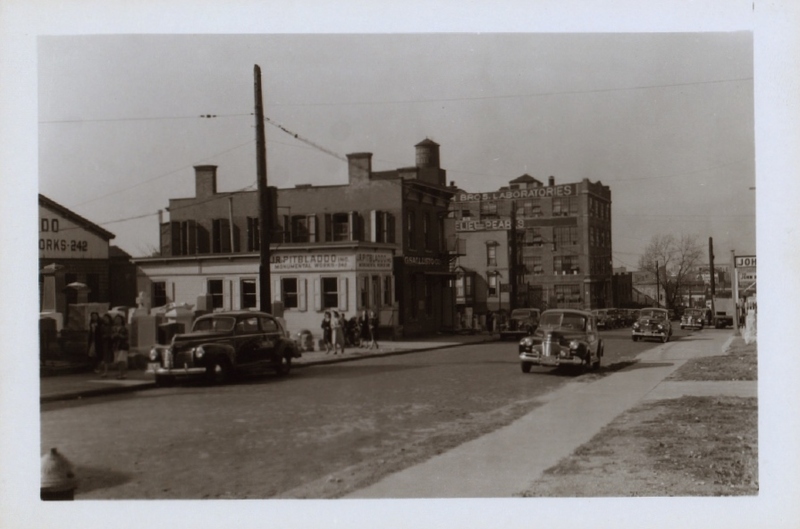 Condon's (24th/23rd) The White Eagle Tavern is at far right. and east from Fifth. 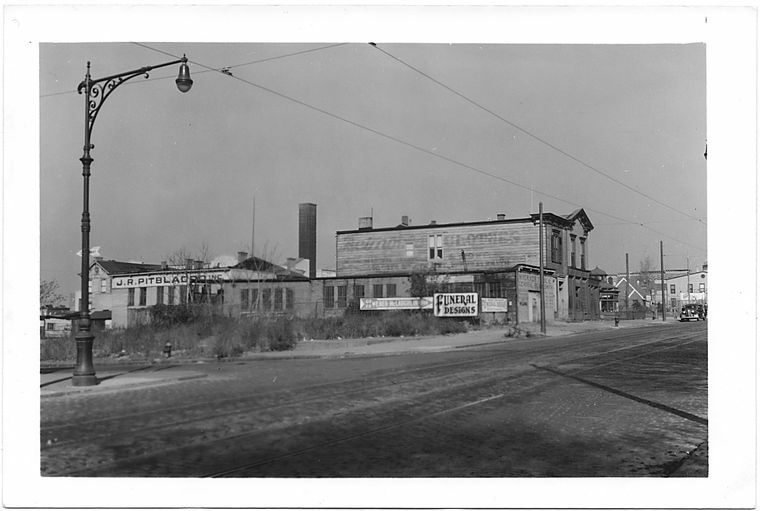 I can't make out the name of the business at the left of the 1941 picture, but there's a greenhouse indicated on the Belcher Hyde 1903 map. The P.L.Sperr photographs are all from The New York Public Library Digital Collections. All others (sadly) are from Google, though I will replace them with my own photographs down the line. Can Re-zoning Save the City from Future Canyons of Mediocrity? "No one likes Brooklyn's Fourth Avenue, including the Department of City Planning whose policies in part drove the throughway to become a canyon of bulky, monolithic buildings. As the De Blasio administration proposes major overhauls to the city's zoning in order to bring more affordable and quality housing to the city, everyone's trying to make sure that the policy caveats that allowed Fourth Avenue to become a so-called Canyon of Mediocrity don't move forward. Next City looked into what DCP has up its sleeve to prevent the city's future Fourth Avenues and it mostly boils down to tacking on an additional five to 15 feet of height. " Closed since the end of June, Roosters restaurant, at Fifth & 19th, will be re-opening on Friday, under new management. I was told that much of the menu will stay the same, but that there'd be "improvements." I hope the food will stay as good as before, and that prices won't increase. Looking forward to dinner there again. The hipster, the artisan, the sad to say goodbye to. My italics. "When I first moved here (2001), Brooklyn wasn’t a thing. Even though L Magazine was all about Brooklyn, it was a market that still no one understood. We were getting studios to advertise with us, but we couldn’t mention Brooklyn because no L.A. studio had any interest in identifying with a slum. Brooklyn was a footnote to New York City, and certainly that has changed in the past 12 years." “We wanted to bring the Maison Kayser experience to Brooklyn, a community rich with artisans and an appreciation of authentic cuisine,” Janet Mick, a spokesperson for Maison Kayser told Brownstoner." "You never know what you're going to find here, and that's the appeal," said Gregory Ronan, who makes trips from Douglaston, Queens, to hunt for unusual titles. "It's not somewhere you go with a book in mind, but with books on your mind." Here's what looks like some very good news, via DNAinfo. 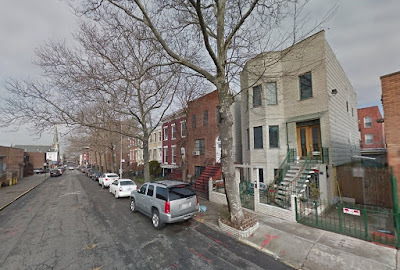 Foreclosed 342 14th Street, one of a pair of long-boarded-up eight-family buildings between Sixth & Seventh, is set to become affordable housing for moderate income tenants. Two former tenants, who were moved out in 2012, will be able to return, at the same rent they last paid, when renovations are complete. The project is being administered for DHPD by Neighborhood Restore, and will be turned eventually be turned over to non-profit developer Bridge Street Development Corporation. Renovations are set to begin by the end of the year. Of course, it'll be interesting to see what "moderate" actually means, and it's shameful that all the development around here has produced next to nothing in terms of affordable units of housing. Must we learn to live with such limited expectations? Eight units are a pittance, but will at least bring real help for eight households. It looks like a different fate for 340, where it appears that at least one tenant has stayed put, despite appalling conditions at the building. 340 was sold for $2,125,000 three years ago to Lido Realty LLC, and has been undergoing renovations. One can expect to see market rate housing here- either high-end rentals or condos. 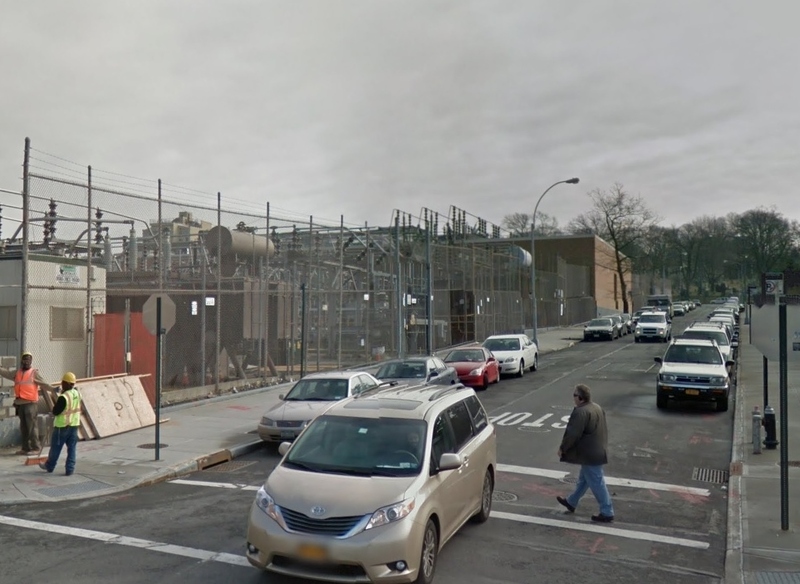 As DNA notes, soon there'll be condos right across the street. The affordable housing plan comes as Park Slope real estate prices continue to soar. The neighborhood just set a local record with the sale of a $12.4 million mansion at 17 Prospect Park West. The 14th Street affordable housing development is across the street from a (former) day care for low-income children that will soon be torn down and replaced with market-rate condos. If today's not the perfect day for this, when is? Here's the opening, and the Attica! scene from the heart of the movie, released almost forty years ago. I'll be re-watching the whole thing, and enjoying (again) the local connection. This one's right near the top (maybe right at the top) of my all-time favorites. 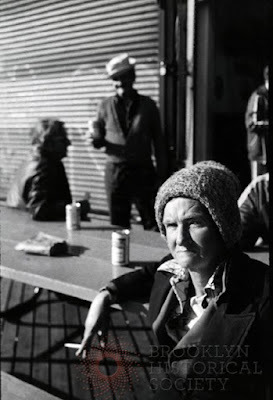 Two old men, tenants of the night on the bench outside the bar, turn to talk of Patton. A man walks past - thirtyish? - wild on his phone. "So then he comes at me with a butcher knife..."
Out of the shadows, and under the streetlight, a fat-tailed raccoon emerges, pauses, looks around, and scuttles across my path, vanishing into the weedy depths of the abandoned yard. an intergenerational,multi-racial, nationally-recognized community organization that promotes the sustainability and resiliency of the Sunset Park community in Brooklyn through community organizing, education, leadership development and cultural/artistic expression. UPROSE’s work encompasses a variety of environmental justice and public health initiatives, from the development of the waterfront and local brownfields, to transportation, open space and air quality needs, to educational and youth empowerment campaigns. UPROSE has achieved multiple groundbreaking accomplishments in community-based planning and development. In the wake of Superstorm Sandy in fall 2012, it has intensified its focus on the adaptation of Sunset Park to the changing climate and to deepening its community resiliency. The thrift store is located at the UPROSE headquarters, at 166A 22nd Street, between Third & Fourth Avenues (718-492-9307). You can find out more about the organization here. Let's get over there with donations, and use some purchasing power to help the store hit the ground running.